We finally got a car so we can have more spontaneity in our lives….wahoo. We had a 3 day weekend so we managed to get a little family vacation in. 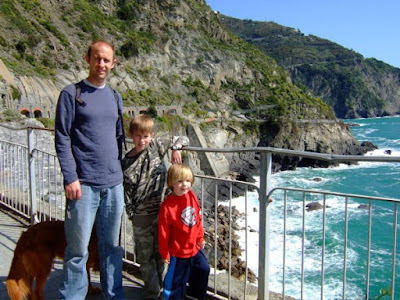 We drove down to they Cinque Terre in Italy. These little towns were amazing and really secluded from just about everything. No Cars are allowed in so you park and hike. 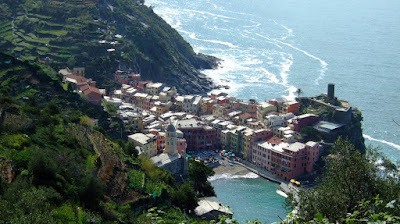 This is Vernazza, our favorite of the 5 towns. We didn’t have reservations so we were lucky to find locals willing to rent out their apartment to us. The towns are built right up to the Mediterranean. 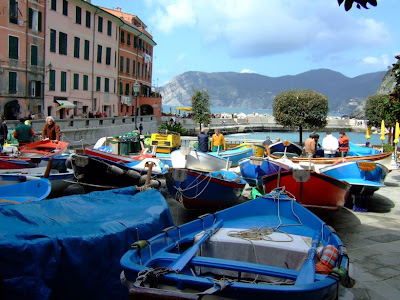 The water was a little choppy so all the locals pulled their boats into the town square. 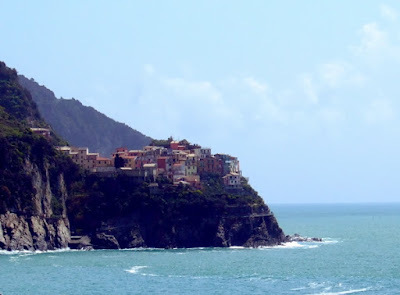 This is the town Manarola. A view from the hiking trail. Jason and the boys on the trail to Riomaggiore. 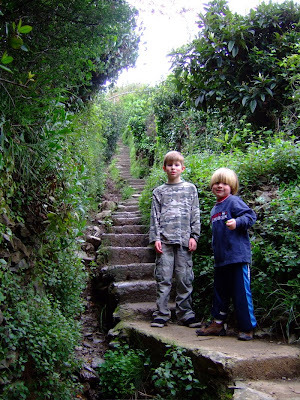 The boys were great little hikers. The hike from Monterosso to Vernazza took us 2 hours and they enjoyed being the “Leaders.” Although Jonah claimed to have “lost power” a few times and was carried up a few stairs. 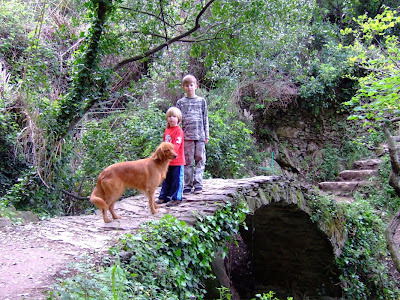 This bridge was along the hike and had a waterfall coming down into it. Very cool. SO BEAUTIFUL!!!! I’m incredibly jealous. We’ll have to go there sometime. Awesome! I’m so glad you went down there. Looks like you had great weather. I am really jealous. I am so glad that you all had fun in Cinque Terra. 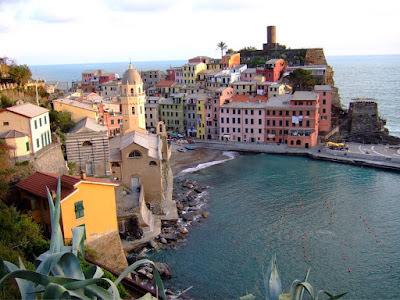 I love Vernazza is my favorite. What beautiful places you are seeing. Your never going to want to come home.